What is a Diaper Blowout? Just the term “Diaper Blowout” – sounds like a horror movie, right? Well, close enough. It’s a real-life horror story of when baby poops, and the diaper poop is all over baby’s back (and sometimes their legs and the belly). This happens because the poop is often liquid, and the diaper that baby is wearing cannot hold the poop any longer. There is no room and that poop now spreads up baby’s back. Diaper blowouts are extremely common, particularly with younger babies. It is also somewhat common in babies who wear disposable diapers but that is because disposable diapers have no elastic on baby’s back, to contain the poop. 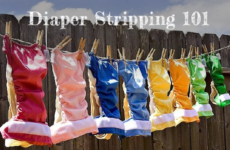 Cloth diapers on the other hand, are thick and absorbent and the elastic on the back of the cloth diaper is often enough to contain the diaper poop. 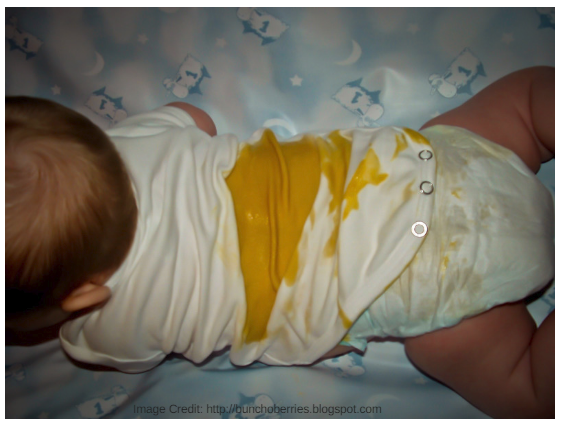 However, containing diaper poop is not always possible, even if you use cloth diapers. Why? Because the diaper poop has to go somewhere if there is no more room in the diaper itself. We never know when it will happen. When you least expect it, you could get hit with a blowout of epic proportion. Since it is common and some even say – inevitable – all you can do is prepare yourself. The worst is when you have prepared for a morning outing and you just dressed your little one in their your favorite baby outfit. You’ve just packed the diaper bag and out the door you go. 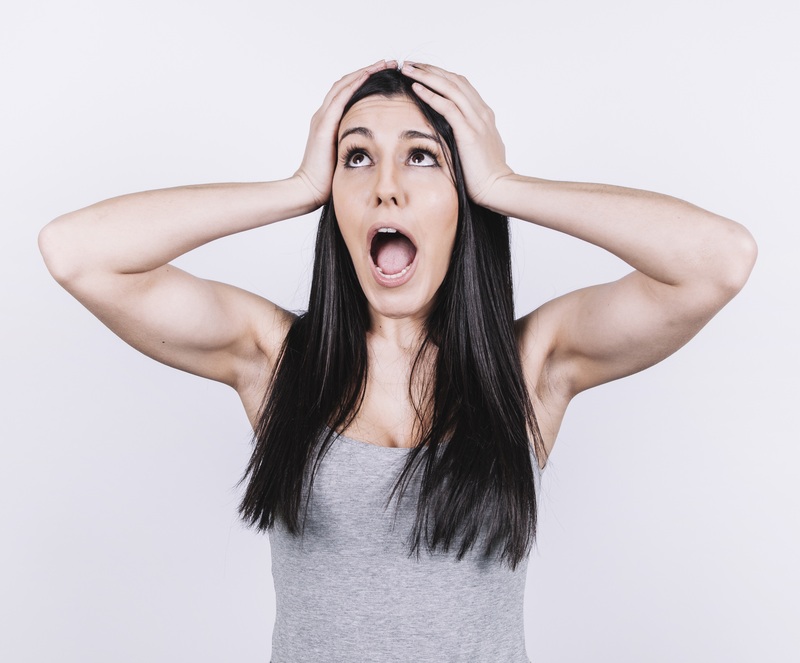 You get to the coffee shop to catch up on the latest gossip and as you are about to bite into your favorite muffin… (the one you’ve been anticipating all week), you smell something foul. Baby must have pooped. Well, you’ll just go clean up your baby and get back to that delicious muffin. You pick up your baby and something is not right. 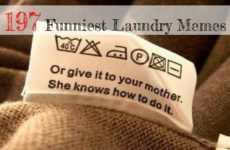 There is a stain on the car seat and baby’s back is wet. That’s when you notice there is poop all over. You excuse yourself without saying much because, well – you don’t know what has happened. You get to the public restroom. The fancy outfit is no longer fancy. No, it is now covered with baby’s explosive poop. 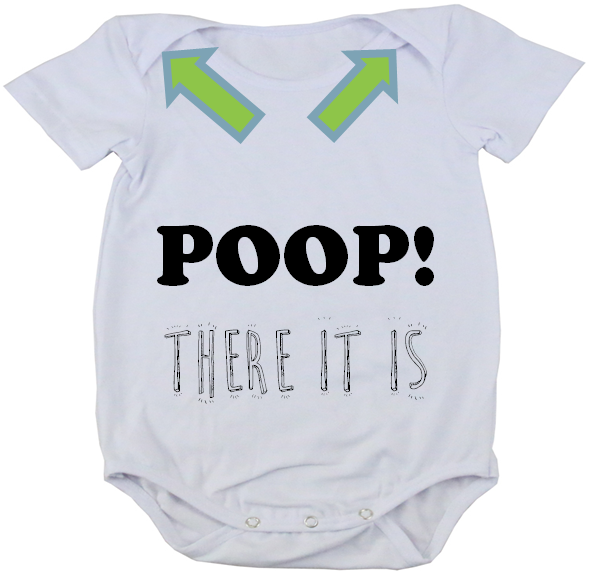 Poop is everywhere – down the legs and up baby’s back. This is going to take A LOT of wipes. …There goes your appetite for that delicious muffin. If you’re using disposable diapers, try various diaper brands to get the best fit for your baby. If you are breastfeeding, be cognizant of your diet. A high fiber diet may be great for you but baby’s stomach may not be ready for all that fiber. Use envelope style/ shoulder flat onesies, like below. In case of a blowout, you don’t need to pull a poopy diaper over baby’s head – getting that poop into the baby’s hair. Instead, you can pull these types of onesies down. Diaper Blowouts happen when baby poops, and there is poop all over. You would hope that the poop is contained in the diaper but not with a diaper blowout. 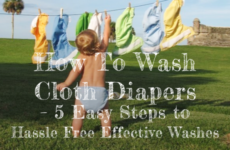 Many think a diaper blowout is inevitable but here are 5 tips to help you prevent it, and deal with it when it happens.